Low Maintenance Gardens. 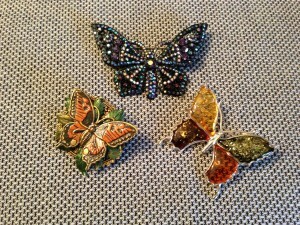 On this First Day of Spring, I’m reflecting on my gardening past. Recently, I was provided with the challenging opportunity to redesign a high maintenance landscape into a far more low maintenance landscape. This project was a fantastic way to take all that I’ve learned about what “not” to do in gardening and apply it at once! Why plant fast growing hedges that have to be pruned constantly? Why plant annuals that don’t reseed themselves? Why plant perennials that require lots of deadheading and dividing? Why have a well-manicured lawn that requires lots of water, chemicals, and sunshine to keep it green? Why not create a landscape that requires less of your time to maintain, and provides more enjoyment during your downtime? That’s why I am moving towards Low Maintenance Gardens. 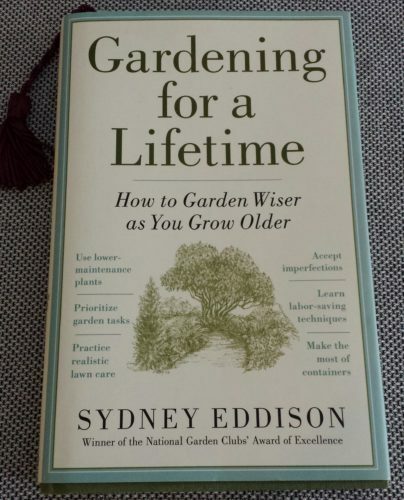 Several years ago, I read an intriguing book called “Gardening for a Lifetime: How to Garden Wiser as You Grow Older .” The author, Sydney Eddison, reflects back on her gardening years and what worked and didn’t work for her. She describes in detail how the right mulches gave her plants plenty of protection and held moisture. She talks about planting bulbs such as daffodils which are pest-resistant and don’t require digging and storing like tulips and the like. She discusses the extreme care and time to achieve lush green lawns, the mowing and edging, and general extra work in keeping them pristine. She also reflected on her gardening mistakes including clearing a lot more land than she now has time to manage. She also discussed planting slow growing bushes that keep their shapes and don’t require a lot of pruning. That’s right up my alley. Most gardeners like to spend time in their gardens. Yet how much “delightful” and relaxing time do you actually spend enjoying your garden as opposed to weeding, pruning, clean-up, and other maintenance chores? I do like to weed sometimes as it is theraputic. Yet a low maintenance garden is far simpler to maintain. 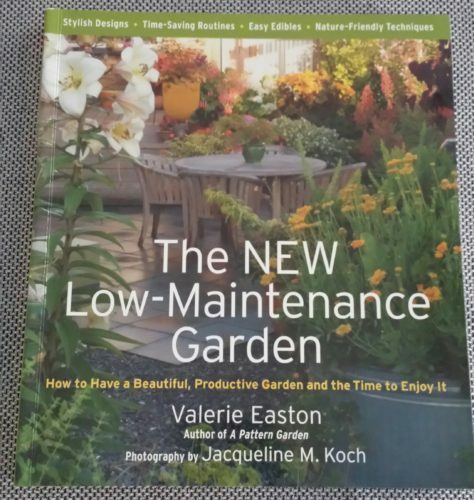 I love this book on Low Maintenance Gardens. In my garden, I have several lovely benches and a table and chairs next to the Ponds Project, with a chiminea. 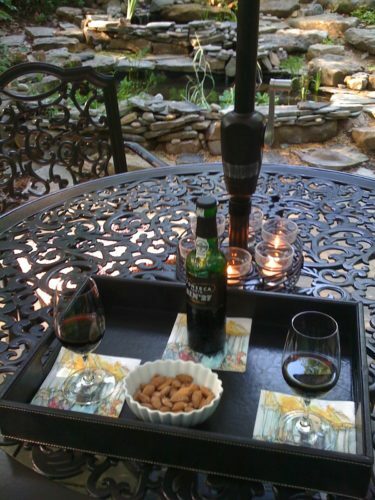 Looking back over the past few years, I’ve not made much use of the furniture — except on weekends when my husband and I take a rest from working outside on our property. Over the years, I’m working to change that! A low maintenance garden is on my horizon! 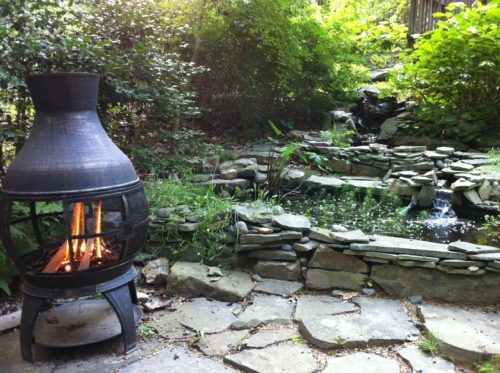 Wouldn’t you rather spend time sitting by a pond and viewing a crackling chiminea fire while sipping a beverage? Who wants to spend a few hours mowing that lawn each week of the growing seasons? Not me. Our lawn only exists to cover a septic field. I’d much rather have a wildflower meadow that attracts birds and other wildlife than a thirsty, laborsome lawn. My husband takes care of the lawn so that’s not on my list. However, I’m still not enamoured by anything that takes too much maintenance. What does low maintenance gardening mean to you? To me, it means not a lot of pruning, picking up debris, watering, feeding, or other maintenance tasks. You can choose to not do these things or make changes to your plantings in order to keep maintenance down. What can help you create your low-maintenance garden? Additionally, let’s talk about excessive use of gardening equipment which defeats the purpose of low maintenance gardening. I have a neighbor who, bless his heart, has some sort of war going on with his inevitable yard debris. He runs his leaf blower several times per day, nearly every day of the year, even in the rain. 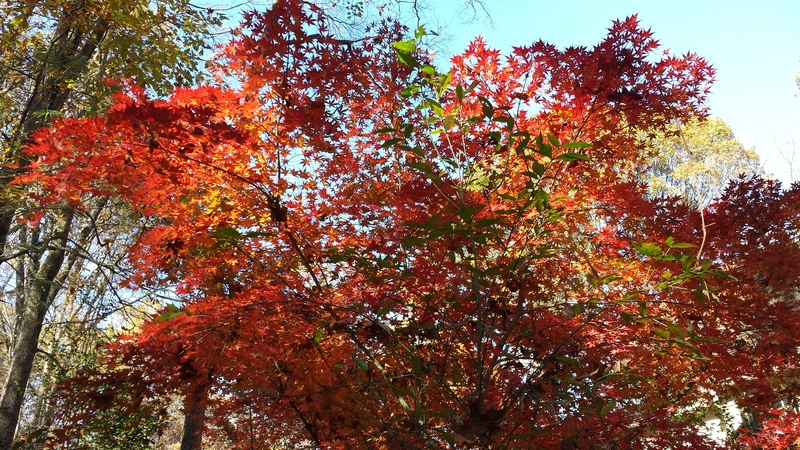 It’s hard to understand why someone would live on a wooded property and then be irritated by the leaves and other tree debris that fall constantly. The constant leaf blowing is now to the point that it is affecting my own enjoyment of my property as well as that of a number of the surrounding neighbors. Anytime my husband and I are outside enjoying our screened porch or deck, that leaf blower is going gangbusters. I understand a need for “order” in the landscape — yet HOW MUCH IS TOO MUCH? We saw a news story about a similar situation that was very telling. The man who was using his leaf blower constantly didn’t seem to understand why his neighbors were annoyed — and conversely, the neighbors didn’t understand why he needed to constantly use the leaf blower! The neighbors just wanted to enjoy some quiet time in their yards and they weren’t getting it. 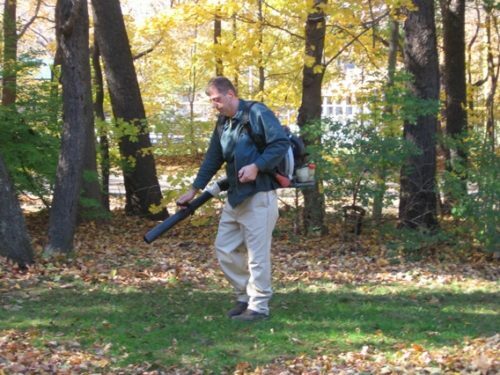 The man was fined by a judge, told not to use his leaf blower so often, and asked to make amends with his neighbors. You never know if some of your neighbors work nights and need to sleep during the day. Or if they have an aversion to a specific tone of a machine and it really hurts their ears. Additionally, while I was doing research for this article, I was very surprised to learn that many people have complaints about wind chimes. 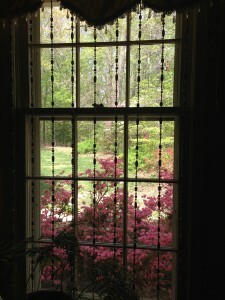 A sound that is very pleasing to me such as wind chimes can drive others crazy. Think about that when you are planning your garden and landscape and maybe your neighbors will do the same. Another neighbor is fighting the wooded property that he purchased in favor of cleared land with a future lush green lawn. In my opinion, lawns are a waste of natural resources and require excessive maintenance. It took us years to get the lawn that blankets our septic field to be mostly weed-free and green. Years. Let me repeat: YEARS. 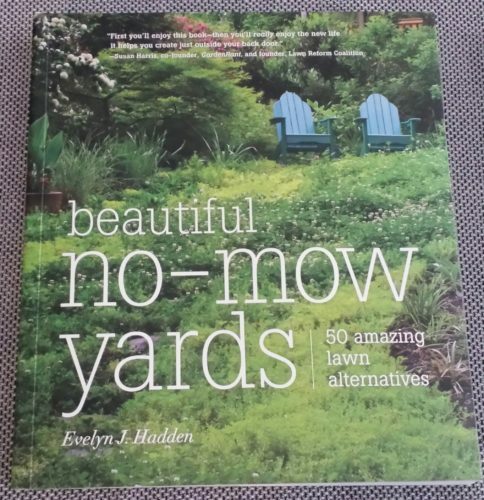 This book on Beautiful No-Mow Yards is a great read for those who are NOT fans of lawns. Lawn care takes up time that could instead be spent by enjoying the landscape. But for you — please don’t GIVE UP on making YOUR landscape lower maintenance. That’s not the answer. As you figure out what grows better and what isn’t growing each year, keep notes in a garden diary or journal. As your trees mature, shade will be cast upon formerly sunny areas. Or perhaps older stately trees will begin to die off, will need to be removed, and sun will shine on the shady areas again. It’s all the circle of life in the landscape. If you have deer in the landscape, add deer resistant plantings. 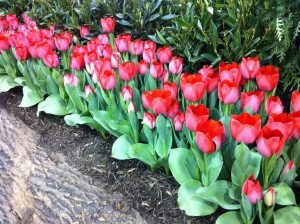 If the squirrels and chipmunks dig up your beloved tulips every year, then plant daffodils instead. Try to use native plants and steer away from non-native invasives. That reminds me — it’s time to start digging out those invasive Chinese barberry bushes which regularly pop up all around my landscape! Another thing: Please KEEP your lawn debris. Several of my neighbors who have heavily wooded properties pay to have their fallen leaves and other yard debris vacuumed up and removed several times per year. Then, they spread shredded mulch from the big box stores over their landscapes. The shredded hardwood mulch decays quickly and needs to be replenished far more often than a natural mulch. It’s unbelievable the amount of money that they spend on mulching. They should be keeping their fallen leaves, shredding them, and using them as natural mulch in the landscape. All those native discarded leaves are nutrients for the soil! One of the worst plantings on my property is English ivy. It was originally planted, by me, as a quick privacy cover for a black chain link fence. Needless to say, the ivy spread very nicely along the ground but was totally uninterested in climbing the fence. It’s also overgrowing my stone steps which is requiring far too much pruning time on my part. I’ve learned that there are some ivys that won’t spread as quickly and will climb fences. Next time, I will plant them. 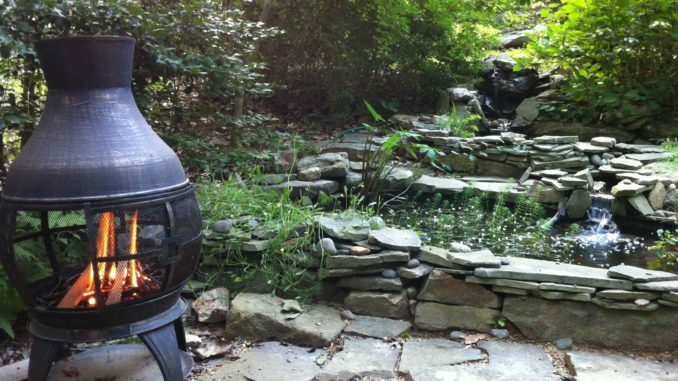 Ponds and water features are not very high maintenance once they get established. As I learned not to purchase water plants that proliferate quickly, and as I managed the algae growth in the water by purchasing the correct pond filters, my ponds became less effort. I did have a leak in the one pond’s hard liner and ended up relining the pond with a flexible liner. It turned out that had I reset the one boulder which was pressing on the pond liner’s one side, my initial repair may have lasted a lot longer. Live and learn is what gardening is all about. The only other pond maintenance is to clean the filters once a month. You can have a very low maintenance water feature such as a whiskey barrel pond with a small fountain. A water feature is a calming aspect to a landscape. My overall message here is how to spend enjoyable time in your landscape rather than performing constant maintenance. Low Maintenance Landscapes are also quieter and allow their owners and surrounding neighbors more enjoyment. Do your part to save the environment from overuse of chemicals and limit noise pollution. What low maintenance gardening techniques are YOU using? Please leave a comment and let us know. You can always contact me here at A Gardener’s Delight if you have questions about low maintenance gardens or any other gardening questions. Also, please add to your garden book collection by purchasing one or more of these books and help me in maintaining the cost of this site.